Over the past two years I had been considering building a trike. A carbon fiber racing trike was designed. I decided to build a mostly steel version first using existing parts to get the geometry and steering right before committing it to carbon fiber. The trike is now built but will need a summer of testing to see what needs to be tweaked. Here's the build blog. These two trike pages also explain the whys and hows of trike building. 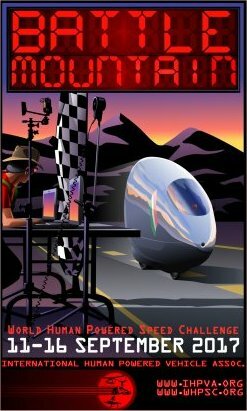 During the week of September 12th through September 17th 2016, cyclists, engineers and enthusiasts from around the world gathered in the dry lake beds of the Nevada desert in a quest to break the human-powered land speed record on State Route 305 outside of Battle Mountain, Nevada. During this event the overall speed record was reset to 89.59 MPH (144.17 KPH), by Todd Reichert of Team Aerovelo. See the full results, pictures and stories at the WHPSC at Battle Mountain site! The D7CFLR is the culmination of several years of design, building and testing a highly aerodynamic front wheel drive lowracer. This bike is the carbon fiber version of the steel bike I built a few years ago. Charles Brown has created four great documents detailing many of the fundamentals and esoterica of recumbent vehicle design. Bicycle frame design explores different types of recumbent bikes and some good criteria to consider when you are designing a frame. Steering and ride details what makes a recumbent bike handle well. 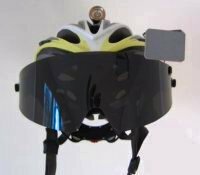 Air drag formula provides methods to determine and reduce the air drag of unfaired recumbent vehicles. 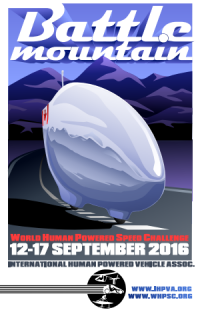 Todd Reichert of the Canadian AeroVelo team has reset the top speed record to an amazing 86.65MPH at the 2015 World Human Powered Speed Challenge! 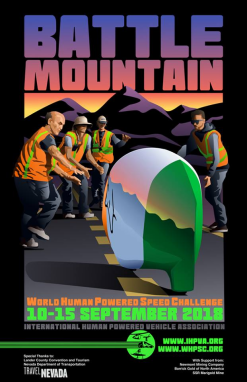 This yearly event attracts athletes and engineers from around the world combining technology and muscle power to set the fastest flat track human powered speeds in the world.